Ringo's pedigree is full of Funquest, with many crosses to Flyhawk, and old Brunk bloodlines. 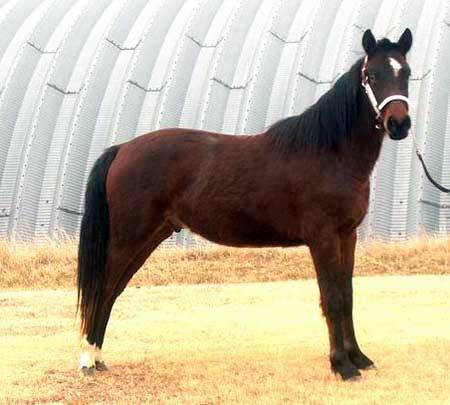 He is a dark bay, with a large star with both hind fetlocks white with distal spots. He has a pretty head, which is typical of the Funquest breeding. Ringo is a very quiet, gentle gelding. He has been ground driven and is ready to start training.